Rob currently serves as General Counsel of Chicago Capital Partners in addition to his role as General Counsel of Kovitz Investment Group. Rob provides practical legal and business advice to senior management and has extensive experience in private equity transactions and as internal counsel for investment managers. 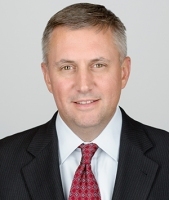 Prior to joining Kovitz Investment Group, Rob was General Counsel of Deerfield Capital Management LLC, an investment manager with over $10 billion in assets under management, and Deerfield Capital Corp., a NASDAQ-listed public company. Previously, Rob was an associate with Pedersen & Houpt and a staff attorney in the Division of Enforcement of the Securities and Exchange Commission in Chicago. Rob received his J.D. from the Loyola University Chicago School of Law in 1996 and Bachelor of Science degree in Finance from Indiana University at Bloomington in 1992.